I've been looking at this article. This question is about the motion of fragments in the immediate aftermath of the collision. I've drawn the following figures and quotes from the link. Figure 9 shows the evolution of the debris clouds 180 minutes post-collision, almost two revolutions later. The spread of each debris cloud around its respective orbit is already becoming apparent. The next extract relates to a snapshot of about 30 seconds after the collision. Examination of the interactive 3D scenario (provided below Figure 10) shows large out-of-plane relative velocity components, the apparent result of coupling of the two masses, despite the hypervelocity nature of the collision. There are also a large number of pieces of Cosmos 2251 debris with significant radial (downward) relative velocities, although it is not apparent why this situation would be the case. It is hoped that the availability of this data set will help researchers with expertise in hypervelocity impacts develop a more complete description of the collision geometry for this event. This question is not about the mentioned radial (downward) velocities, though I grant it is curious. The implication of the two screenshots, where figure 9 is three hours after figure 10, is that the spectrum of relative velocities is very small compared to original satellite velocities. The question is, why are there not more fragments immediately generated with a range of high velocity headings between the two original trajectories? If it helps, think of the impact of two billiard-balls, in such a case neither ball retains its original heading and both depart in very different directions, according to the normal expectation of a near elastic collision. I can see a possible explanation, that the collision was a glancing blow, the main bodies continued as they were and the spectrum of ejected fragments is near inelastic, in the sense that much collision energy is lost and so the relative velocities are low. Does anyone have any more insight into this? With the satellites in LEO, relatively few debris will end up with velocity higher than at the impact moment, while moving at roughly similar trajectory as initially. That means most debris scattered in random directions would enter elliptical orbits with velocity roughly similar to initial at the point of impact. And that means apoapsis going significantly up, and periapsis - down. And lowering the periapsis significantly in LEO means one thing: reentry. About all the debris that were knocked out of circular orbits, by the time of two revolutions later were already burned up, whether going directly down from the impact, or going up towards the new apoapsis, and then heading down almost a revolution later. 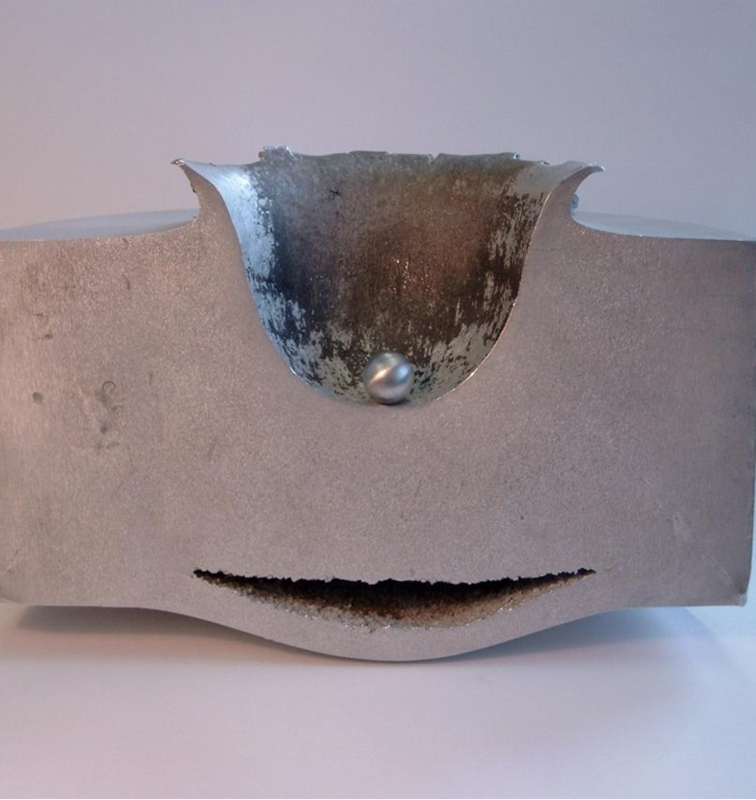 What remained were debris that didn't participate in the core part of the collision, torn away and shattered by the vibration of the stressed structure, not gaining or losing much of the initial velocity, plus scarce few that achieved enough velocity at just the right angle not to fall - apoapsis rising, periapsis not - certainly not many of them, because hypervelocity collisions tend to be of inflexible nature, metal splashing instead of shattering, meaning gaining speed vs losing it is unlikely, - lower periapsis much more likely. In short, putting a satellite in a stable LEO requires quite a bit of mathematics, and if you change its velocity randomly by a large factor, the chance it will remain in orbit is quite small. The wiggle room isn't much. It isn't that most debris entered these orbits shown by the "clouds". Simply, most debris that didn't continue along these orbits burned up on reentry. Satellites are not billiard balls, they are complex structures designed to withstand the expected stresses in their lifetimes. As an example, imagine the impact was between the bodies of the satellites. The arms holding the solar arrays are not very strong, so would snap before imparting much velocity change to the arrays. This would cause the arrays (or maybe pieces of them) to leave the impact with similar velocity to what the satellite had before the impact. Not the answer you're looking for? Browse other questions tagged debris impact or ask your own question. Is it (or why is it) worse to break up a asteroid on a collision course with Earth? Planet building: collision without fragmentation? Which two satellites had a 44% probability of collision at 2017-01-07 21:53 UTC?